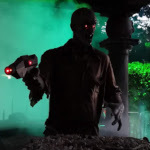 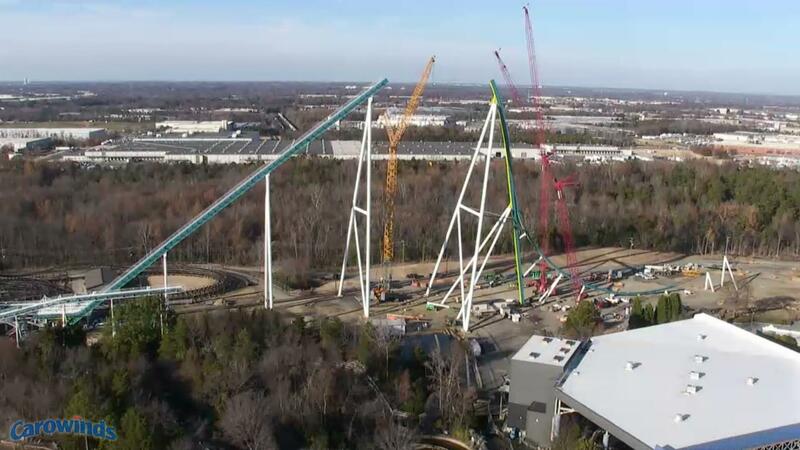 Images from a few days ago on Carowinds Connection. 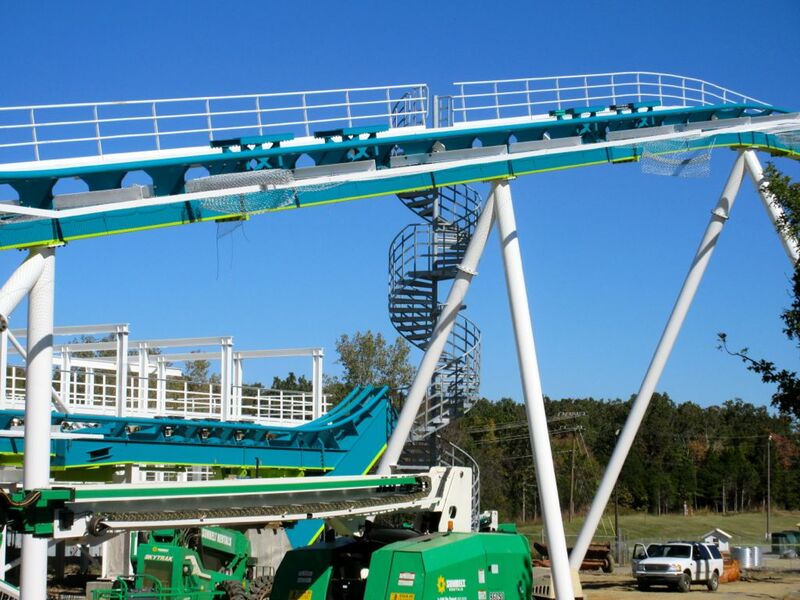 The track from the start of the brake run to the bottom of the lift hill is now in place. 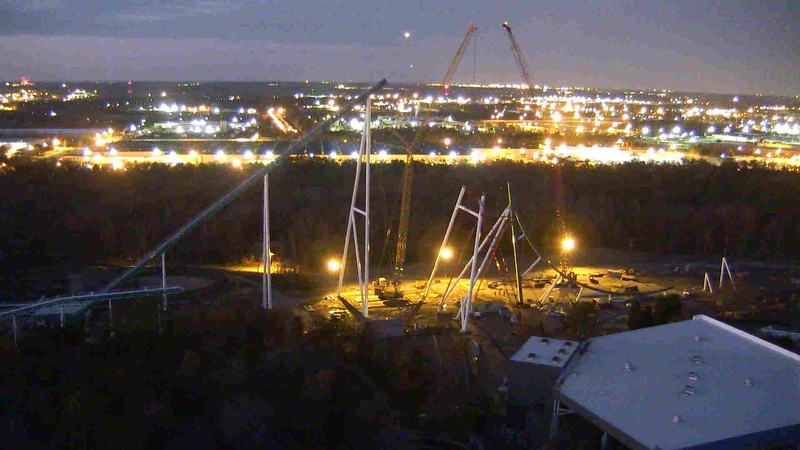 Construction of what will be the world's tallest giga coaster lift hill is underway. The bottom of the first drop is now complete. With the drop's pillar being completed over the weekend, one of the tallest supports has been erected today. 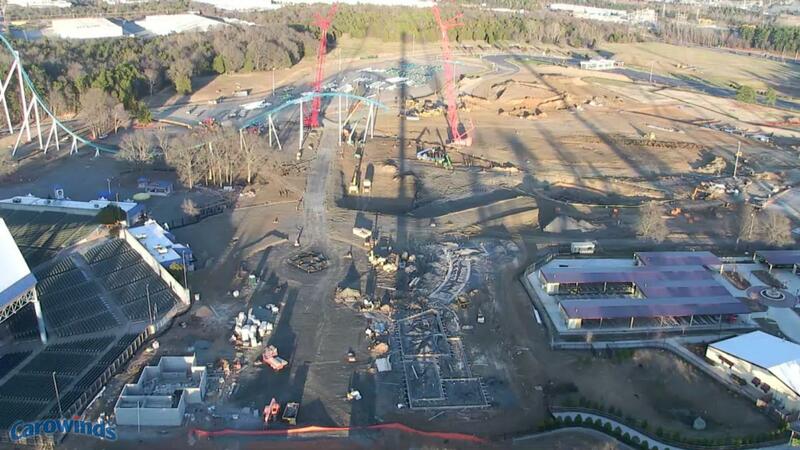 A few more sections of the lift hill went up today. 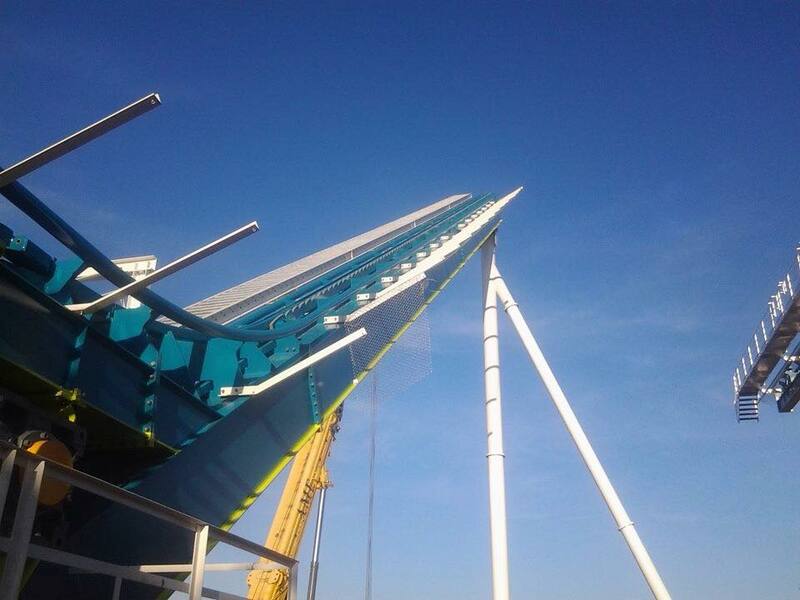 The final support for the initial drop has now been assembled, with the track ready to be assembled and lifted awaiting on the ground. 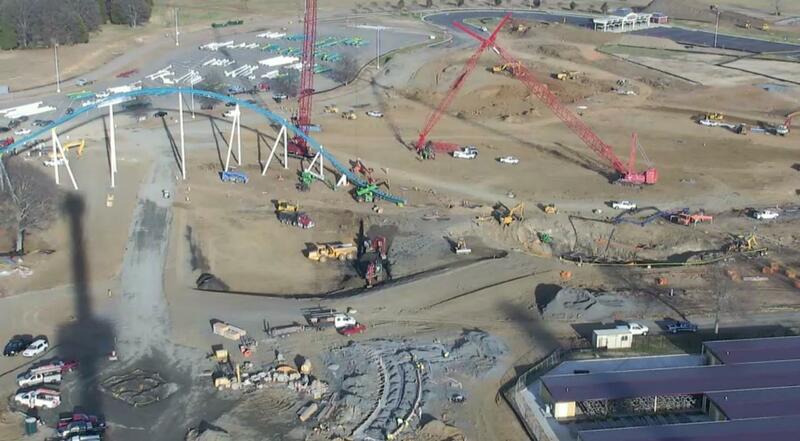 More of the track for the drop has been installed today. 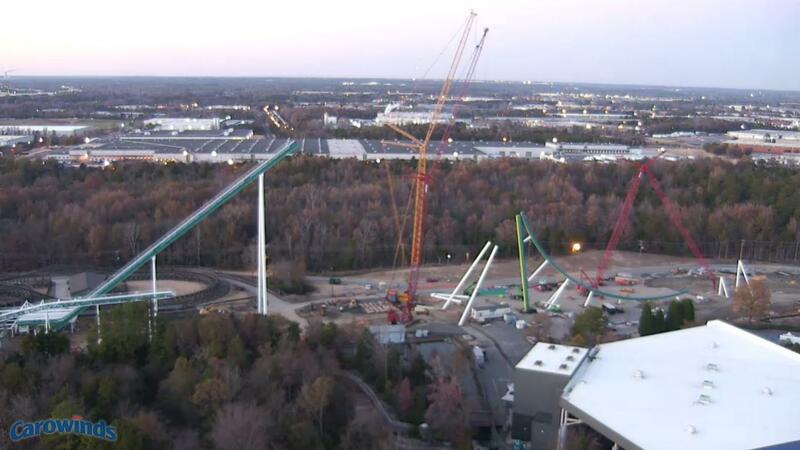 The lift hill has been topped off, complete with Christmas tree. There's been consistent progress on Fury 325 over the past few days, with half of the Barrel Turn now in place. 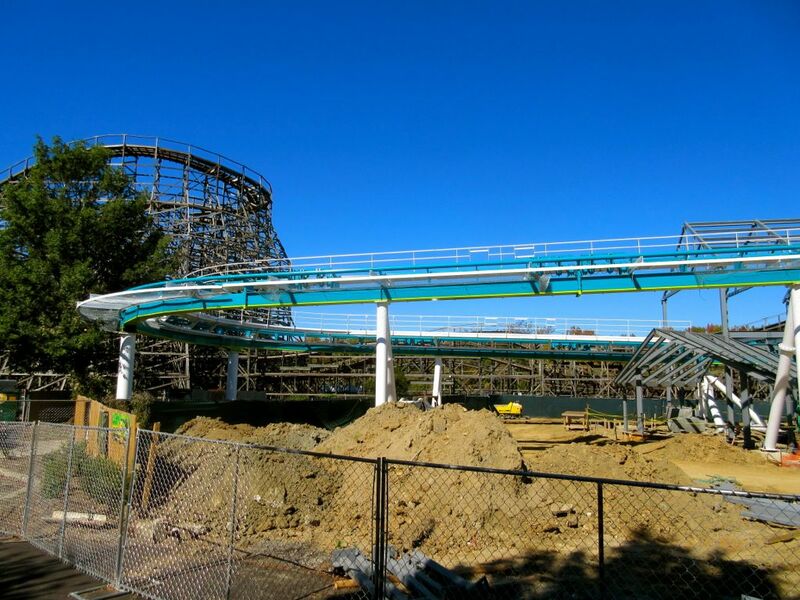 The barrel turn is now complete. They certainly aren't messing about, with the majority of the S-curve now erected. 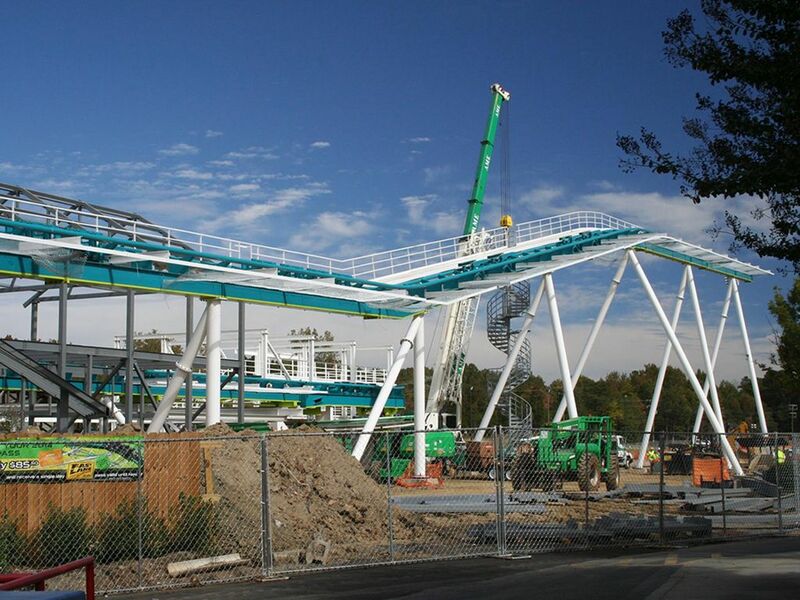 Well its not as complex as the smiler, but still impressive the speed that thing is going up. 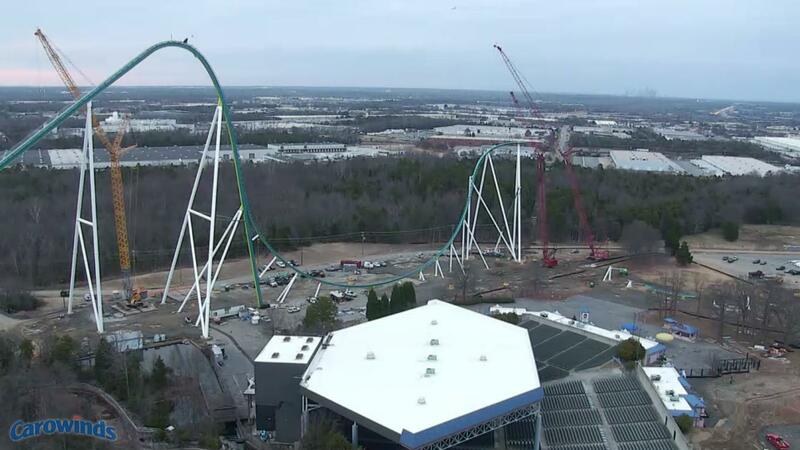 This track I would imagine is a lot more time consuming considering they have to lift a large portion of the track above 250ft. 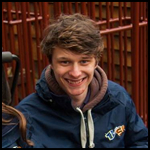 Then to lower a piece at 300ft+ must have to be done incredibly slowly. 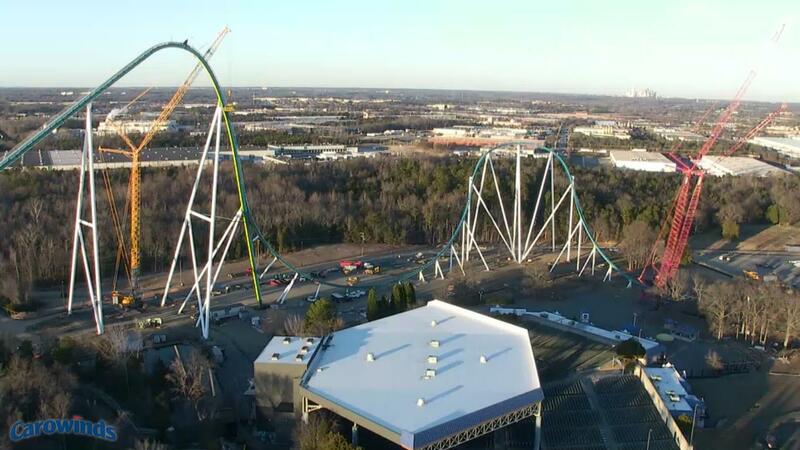 I think there was no excuse for The Smiler's Spaulding construction speed, the snow wasn't even that severe.